The problem with my generation, I always find, is that they spend far too much time buying avocado toast and not nearly enough time owning three bedroom maisonettes in Holland Park that have quadrupled in value in the last 15 years. Listen — if three-year-old-you cared as much about real bricks and mortar as he did about ill thought-through Lego projects, perhaps you’d be sitting on a sweet little four bed in the Dalston/Hackney borderlands by now (I don’t really know where that is, but I’m sure it’s got excellent potential). But if you can see the bandwagon, you’ve already missed it (not that I’d ever suggest investing in bandwagons, by the way — mobile homes, on the whole, tend to shed value rather than accrue it). So what can you do now? 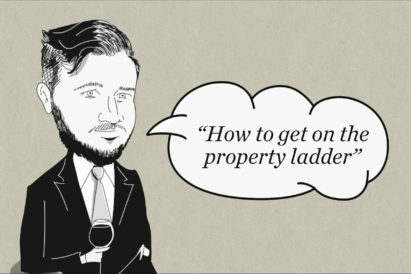 Here are four little tips for getting on the property ladder, from a man who really wouldn’t know. The first thing to know about the property ladder is that it’s not an actual ladder. In fact, it’s more like one of those big, steep slides you used to see at fairgrounds, except this one’s covered in Vaseline and your parents and their friends are all standing at the top giggling over some Chablis and I think Uncle Jeremy just spat an olive pitt down at you. Have grandparents who are alive, but not that alive, you know? The big problem for first time buyers is that they need a lot of capital upfront to convince the old bank manager to fork out his share. Grandparents are an excellent source of capital, in the way that broccoli is an excellent source of iron. They also have an almost unshakeable attachment to their grandchildren. Once you’ve ensured you’ve been written into their will (honestly, just put in half an hour by the duck pond and they’ll pretty much do anything you want), it’s simply a waiting game. Some people like to deploy a few hearty shocks to shuffle things along (halloween masks in the small hours, facial tattoos, LSD in the Ovaltine) or at the very least loosen the old bannister a bit, but I’ve always thought of that as a rather unkind way to go about things. 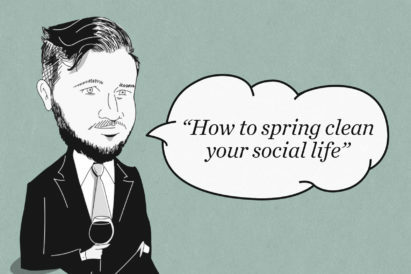 Not as hard as it sounds, actually. I can find you an eligible heiress by 3pm tomorrow, if you’re willing to overlook a couple of bow legs and some pretty spicy orthodontics. Heiresses are great because they have lots of money, not very much ambition, and significant problems around father figures. A problem shared is a problem halved — but a house divided is a friendship doubled. Nothing strengthens the bonds of love and intimacy like a torturous and invasive mortgage screening process. Buying a place together not only puts you both on the property ladder — it also makes any any fledgling relationship legally binding, which can be incredibly useful when she learns about your newly-found port dependency. 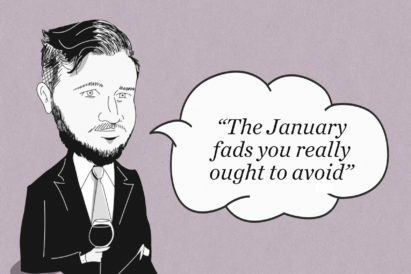 Bring the mortgage contract along to your second date to show her how serious you are about things — with any luck, your third date might be with the bank manager (which may or may not be a euphemism, I haven’t decided.) Just make sure to enforce a thorough medical beforehand and organise an independent audit of her Instagram followers — I’d say it’s statistically unlikely that she has quite so many friends in Taiwan. Not entirely sure on the legal details here, but as far as I can work out the rule with squatter’s rights is this: once you’ve been in a property for long enough, it’s yours. Specific durations vary from county to county and borough to borough. But I’m told there are certain parts of Gloucestershire where simply oversleeping on the final day of a long weekend entitles you to a 50% share of the converted stables, and that in one slither of South Kensington an extended cigarette break on the balcony will grant you the deeds to any future extensions. Pitch a tent in one of your parents quieter wings, or overstay your welcome at a Lavender Hill dinner party, and next thing you know, you’re a property baron with a highly diversified portfolio. I’m pretty sure that’s how the Grosvenors did it, anyway. Now you’ve got your first home, why not invest in another?